Directed by Hong Sang-soo. South Korea. 2017. Korean with English subtitles. 101 mins. Starring Kim Min-hee, Seo Young-hwa, Kwon Hae-hyo, and Jung Jae-Young. After an affair with a married man, celebrated actress Young-hee (Kim Min-hee, The Handmaiden) takes time off and travels to Hamburg. During long walks through wintry parks and along riverbanks, she examines her feelings. Back in Korea, Young-hee meets old friends in the coastal town of Gangneung. Their conversations give vent to minor and major realizations. Afterwards, Young-hee withdraws to a deserted beach, finding solace in nature. Anyone who has lost themselves in pondering the meaning of love will appreciate this film. 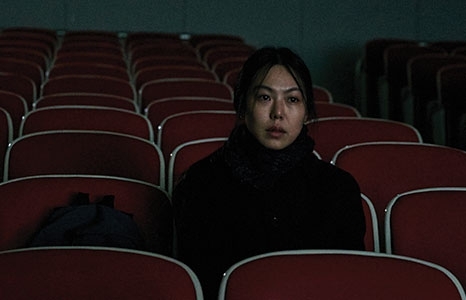 Actress Kim Min-hee won the Silver Bear for Best Actress award at the 67th Berlin International Film Festival.